I started planning my daughter’s Bat Mitzvah a little over two years ago. After all, planning is what I do and expectations were high. 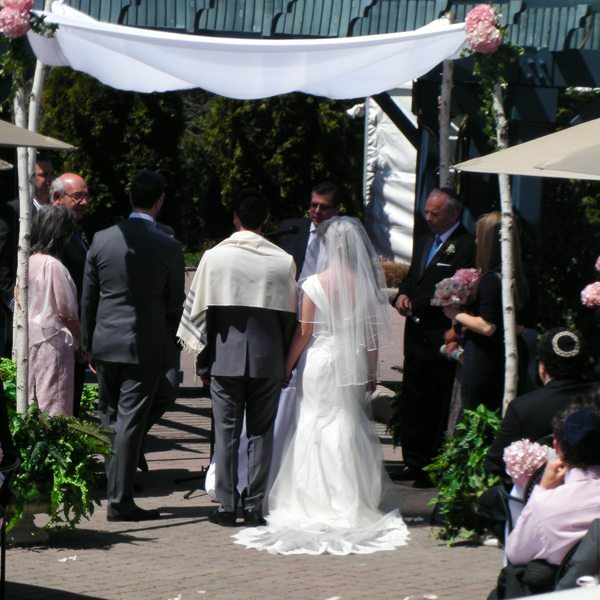 I chose a venue, lined up my vendors, my daughter started her Mitzvah project; we were all looking forward to celebrating her Bat Mitzvah on labour day weekend. Very late one July evening I received an email from the owner of the venue that I had booked over two years ago, saying they had a devastating fire. We could no longer have our Bat Mitzvah at our planned location. 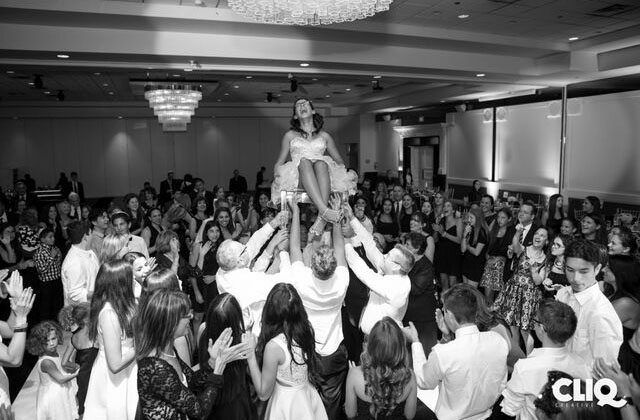 I was six weeks away from the Bat Mitzvah and I had over 200 guests invited, what was I going to do? Not only did I lose my venue but I also lost my deposit. We were devastated. After a sleepless night, I woke up the next morning trying to figure out what was going to be my plan. I contemplated cancelling the whole event, but how could I do that to my daughter? My daughter was away at overnight camp and had no idea what was happening. We had been planning for almost two years, what was I going to tell her? I resolved not to allow this potentially devastating news to get the better of me. 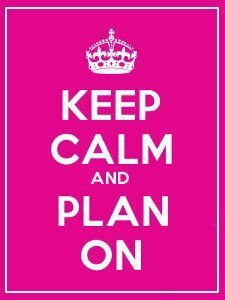 I chose to KEEP CALM and PLAN ON. I got on the phones and the computer and spent the next five days searching high and low for a new venue that would be able to accommodate our 200 guests. In the end I found three great venues. After weighing the pros and cons of each location, as well as conducting on site visits, we decided to do our event at The Supreme Luxury Event Venue. 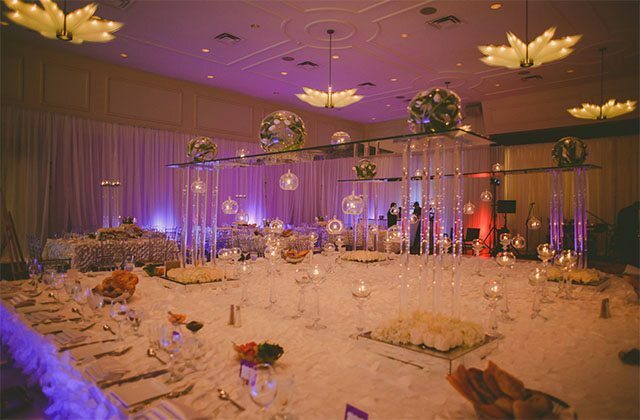 The venue was beautiful, their reputation was impeccable, plus their staff were amendable and understanding of our situation. Unfortunately for us, the original venue that we booked offered an all inclusive package that included décor, lighting, staging, screens for video presentations, chavari chairs, linens and of course all of the food and bar. So, we were faced with the huge task of basically starting all over again, by way of sourcing vendors to now supply these items as well as negotiate costs that were not in our preliminary budget. In many ways it was like starting all over again with now less than five weeks from my daughter’s big day. The roller coaster seemed to be on track and then again we hit a huge down turn. We were having one of our usual Sunday family dinners. Just as I pulled into the back of the restaurant a storm began and as I put my car in park, all of a sudden a tree overhead was struck by lighting and fell right on top of our car while I was in it with my daughter. We didn’t know what happened, and all we heard was this huge bang. This was really a turning point and changed my perspective on EVERYTHING. We literally would have been killed had we exited the car as planned only 1 minute earlier. The car had over $20,000 in damages and was considered a loss by the insurance company. So, we were alive and well and whatever ups and downs that we had to overcome and face in the next coming weeks we would. I appreciated at that very moment that it was time to stop and realize how lucky we were; even though we were dealt a bit of a bad luck we would be able to get through it. So, I worked very hard at re-planning, and re-working our party as well as getting in touch with each and every guest so that they would be aware of the venue change and asked them all to re-RSVP. So many of the vendors that I contacted helped us to bring it all together, as this is an industry with big hearts and everyone was empathetic to our situation. 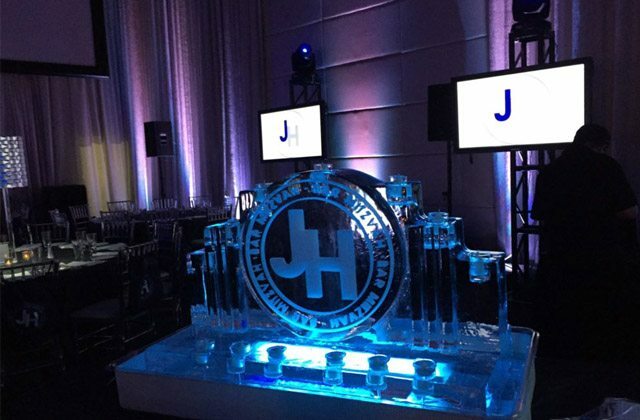 Our theme for her Bat Mitzvah was a black and white damasque inspired party. We asked all of the guests to wear black and white and we started the evening out with a service designed by us. Bayley wore a pink dress and was the only burst of colour in the room. The night was designed around our daughter with her interests and favourite foods as the central focus. From the high energy entertainment supplied by The Magen Boys, to the beautiful black and white florals to Bayley’s bubble tea station and Bayley’s Bagel Bar at the end of the night, it was truly magical. It was definitely a night to remember. As a planner, I genuinely feel that if I can overcome this situation that I can really now do anything. It was challenging, heartbreaking, stressful and time consuming, but I did it! Most of the guests commented on how if we hadn’t mentioned it to them they would never have known as the night was flawless. The lesson I learned through all of this, is that are no guarantees in life, life will bring many ups and downs and sometimes you will feel like you are on a roller coaster ride. We celebrated and seized the moment for our daughter and for our family. We have no regrets and we are thrilled with how everything turned out. So, savour the highs and celebrate the good times and always make the most of the ride.